365 days ago, Apple launched its new Mac OS X 10.6.6 operating system and delivered its desktop app marketplace, the Mac App Store. Mac owners instantly gained access to more than 1,000 apps and amongst the new apps available on the store was Twitter’s first native Mac application and a whole host of titles that had previously only been available via developer websites. Within 24 hours of the marketplace launching, 1 million apps had been downloaded. More recently, the company announced that the Mac App Store had topped more than 100 million downloads in less than a year, making it the “largest and fastest growing PC software store in the world”. Over the course of the past year, Apple has used its own platform to deliver updates to its software. Some were well received and some not so. In June, the company released its popular video-editing tool Final Cut Pro X on the Mac App Store with a $299.99/£179.99 price tag. With users excited to be able to download the new software in just a few clicks, the app quickly rocketed to the top of the Mac App Store charts. However, Apple’s glory was short-lived after it soon became apparent that the new version of Final Cut Pro X wasn’t meeting user expectations; support for older file-types was no longer available, functions became difficult to find and audio markers no longer worked “the way they used to”. This led to many customers leaving 1-star ratings and lengthy negative reviews on the Mac App Store – it even got blasted by Conan O’Brien. The company closed comments on the Mac App Store and began acting on reviews, issuing refunds to those who had filed an official request using Apple’s Mac App Store Customer Service form. 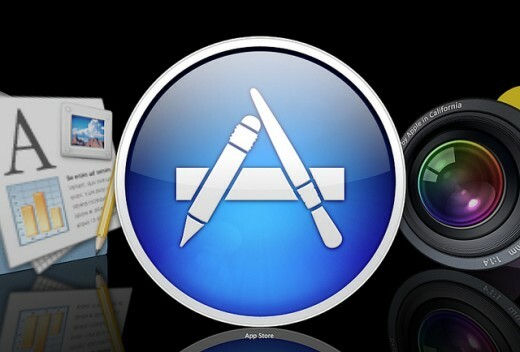 On July 20, Apple utilised the Mac App Store to launch its latest operating system, Mac OS X 10.7 (Lion) for $29.99. The new operating system offered 250 new features, and presented a significant upgrade for users of earlier OS X versions. Five months later, the company discussed the sales performance of Lion and its amazing growth as compared to its previous OS, Snow Leopard at an its iPhone 4S event. New CEO Tim Cook said that Lion had been downloaded more than six million times, representing an 80% increase on Snow Leopard installations at the time. It’s been a successful year for the Mac App Store; competitors have mobilised to create their own marketplaces, with Microsoft expected to launch its own Windows 8 app store later in the year. With developers able to submit their software and streamline updates, the end user knows exactly when updates are available and can search for new apps without having to perform a number of Google searches. Will Apple celebrate the first birthday of the Mac App Store? We don’t know. As the company continues to iterate its services, who knows what the Mac marketplace will be like in another 12 months.